The Mitsubishi FTO is a front-wheel drive car of the coupe type manufactured by the Japanese Mitsubishi Motors Corporation from 1994 to 2000. The car was developed exclusively for the domestic Japanese market, but later was limited sales in the UK, Hong Kong, New Zealand and Australia. The car received the title Car of the Year in Japan in 1994-95. The FTO is an abbreviation for “Fresh Touring Origination”, which in translation means a travel car full of freshness and originality. In 1997, the model was modernized by replacing the front bumper. Attractive parties of the FTO is the aggressive design of its bodywork and is not inferior to external data dynamics. Release of the car fell in 1994. The FTO cuts the front and rear overhangs as much as possible, a very compact cab is located in the wide body. All this gives the car an original, easily recognizable form, which has no analogues in the world. 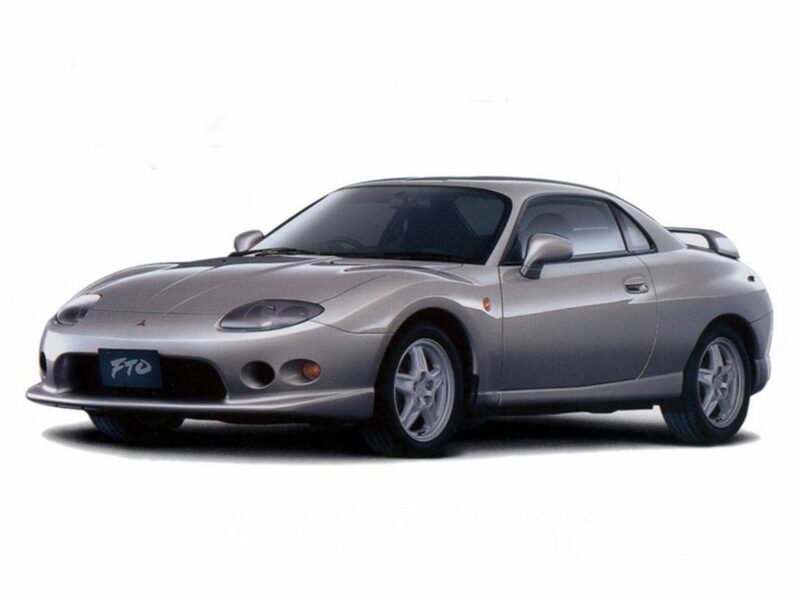 The Mitsubishi FTO uses 3 types of engines, among which is the 2-liter V-shaped 6-cylinder DOHC MIVEC engine with electronically controlled variable valve clearance, capable of developing 200 hp. FTO is produced only in front-wheel drive version. Attention should be paid to the fact that it was the first Japanese car to be fitted with the 4-speed automatic transmission INVECS-II with sport mode and the possibility of mechanical control. The company Porsche has developed an automatic transmission with the possibility of a mechanical gearshift – Tiptronic. Being automatic, it allows you to switch to sports mode. Among the modifications of the FTO, the most powerful GPX is considered, except for it there are GR (170 hp) and GS (125 hp) – a total of 3 complete sets. In 1996, the car underwent some changes. In 1997, the GP equipment was added, complete with a lot of tuning parts. 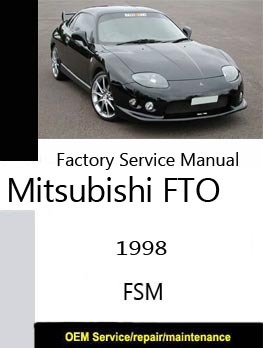 Production of the Mitsubishi FTO and GTO / GT3000 ended in the summer of 2000.